B.C.R. Fegan’s Henry and the Hidden Treasure is the story of one little boy’s quest to keep his “treasure” a secret from one person in particular. Henry’s tale of overwhelming desire to keep his treasure box from his sister’s clutches leads the reader on a journey into a child’s imagination and its endless possibilities. The threat posed by his baby sister is the driving force behind a long string of scenarios designed to trick, intimidate, and trap his sister as he shields his beloved treasure from her greedy hands. Henry, for all his planning, learns a valuable lesson about jumping to conclusions in the process. Henry and the Hidden Treasure is a delight in both text and illustrations. As a third grader teacher and parent and one who has read more than my share of picture books to Kindergarten through 5th grade students, I can say Fegan has written a real gem. Children of all ages love a surprise ending, and the author has more than provided such a conclusion with a fantastic build-up and an added bonus on the last page. Teachers appreciate the opportunity to have students predict endings, and Fegan and Wen’s last page of text allows us to do just that with the simple yet powerful lone illustration of Lucy stealthily peeking at Henry. The author/illustrator team of Fegan and Wen has created a story for both families and classrooms. The older brother versus baby sister dynamic is addressed via detailed, colorful illustrations which demonstrate the intensity of a child’s imagination. Each subsequent illustration adds a sense of drama children find appealing. My personal favorite of all the illustrations, as a mother, is the one depicting the reality of Henry’s room. 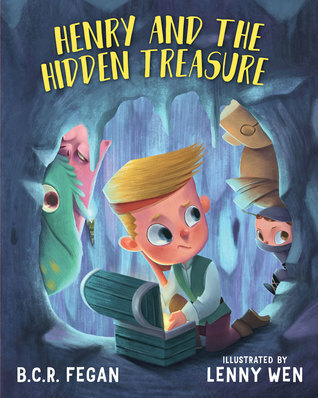 Teachers looking to create text sets for their students will find Henry and the Hidden Treasure a delightful addition to sets alongside books like Charlie McButton Lost Power where sibling rivalry is the theme. With the open-ended conclusion given by Fegan and Wen, I certainly hope there is a sequel to the saga of Henry and Lucy. 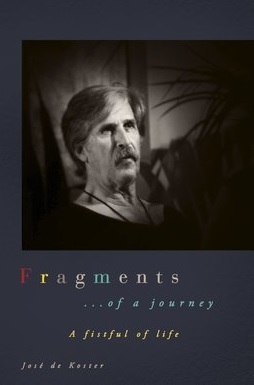 Posted on August 3, 2017, in Book Reviews, Five Stars and tagged adventure, amazon, amazon books, amazon ebook, art, author, bcr fegan, book, book review, books, brother, Charlie McButton Lost Power, children, childrens book, classroom, ebook, ebooks, family, fantasy, fantasy book review, fiction, goodreads, Henry and the Hidden Treasure, illustrations, illustrator, imagination, kids, kids book, kindle, kindle book, kindle ebook, lenny wen, literature, mystery, novel, parent, picture book, publishing, reading, review, reviews, short stories, sibling, sister, stories, teacher, thriller, treasure, writing, YA, young adult. Bookmark the permalink. 1 Comment.